Is your business using email marketing as a tool for communication to your prospects or customers? The time is now to embrace that email communication is not going anywhere. Here are 5 reasons you should use nSightful Email Powered by CAS as part of your online marketing strategy. With email marketing you are not paying for the printing and or postage. This is the cheapest way to stay in contact with your customers. Email Marketing can be completed in hours! You could send out a campaign the same day you created the content. 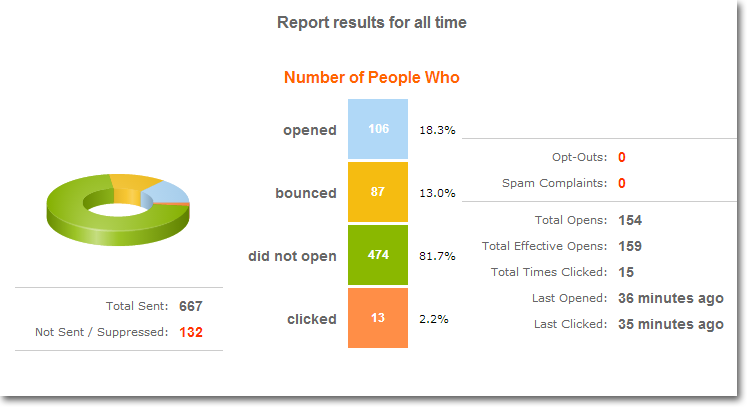 It is real time engagement to your customers and prospects. With Email Marketing you have the ability to personalize the content you are sending. You are able to personalize the subject line, the copy of the email and landing pages as well as create personalized follow up emails based on the response of the individual. With each email sent, consumers are exposed to your business and brand. Continual communication allows you to continually build value. When a customer needs a product or service, your business stands a chance of turning the leads into life long customers. Email Marketing can provide tracking information of how many people opened, clicked a link, what link was clicked and how many times it was clicked. From these results you can gauge a prospects interest on the offer you are providing and the future means of communication. Be prepared for the year ahead and embrace changes to your marketing strategy that open up multiple channels of communication. Email Marketing is not going away and it is only growing. Either it be B2B acquisition email programs or B2C aquisition email programs, your ROI will increase. New to email marketing? Need a full-service solution? To learn more about nSightful Email Powered by CAS, visit our website at cas-online.com. Or call today, 866.461.4693 to speak with one of our data experts.